Alina Zagitova has taken the lead in the ladies’ short program receiving an incredible 82.92 points from the judges, beating the world record set minutes earlier by Zagitova’s teammate and training partner Evgenia Medvedeva. 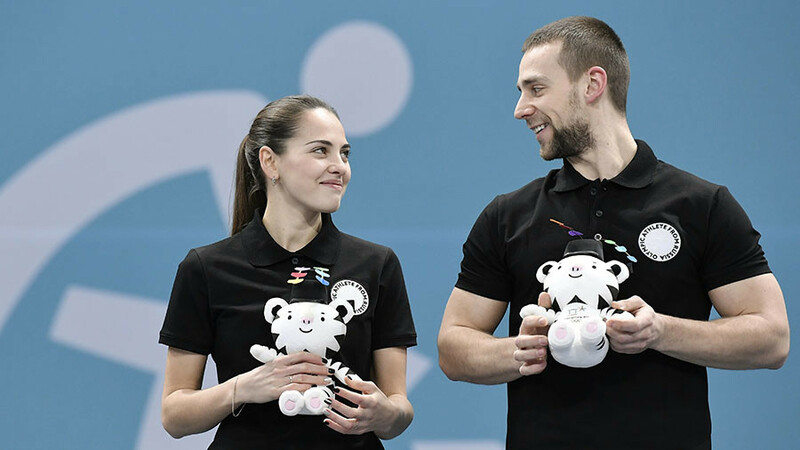 The two-time world champion Evgenia Medvedeva, representing Olympic Athletes from Russia, delivered a stunning performance on Wednesday, flawlessly landing all of her jumps and perfectly executing spins and steps posting a new world record of 81.61 points. 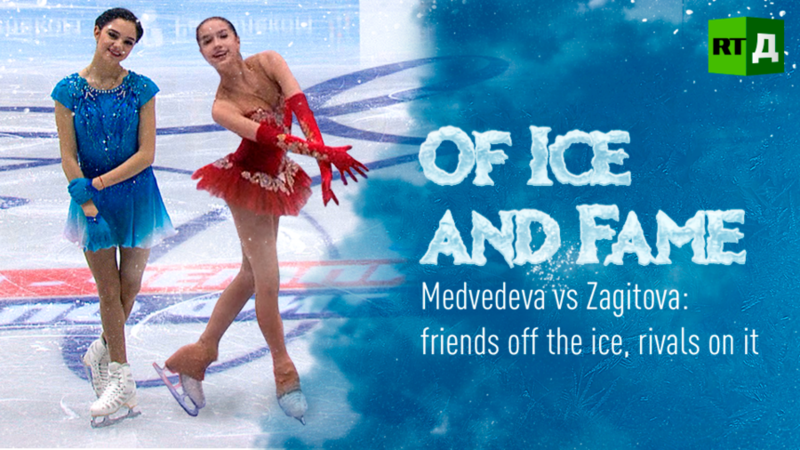 However, that record stood for just a few minutes before Zagitova outscored Medvedeva by more than a full point. Zagitova’s immaculately-performed technical elements, including her signature triple Lutz-triple loop combination, merited 45.30 points. It is the highest technical score ever awarded in the women’s short program. The 15-year-old Russian talent received an incredible 82.92 points from the judges, becoming the first skater in the world to break the 82-point barrier. 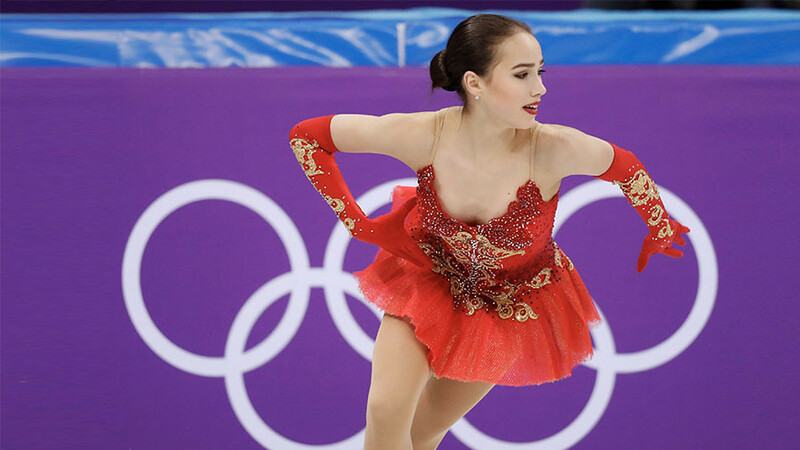 With the free skate still to come, Canada’s Kaetlyn Osmond currently sits in third place, more than four points behind Zagitova. Another Russian skater, Maria Sotskova, trails her teammates in12th after a disappointing day on which she failed to produce her best. 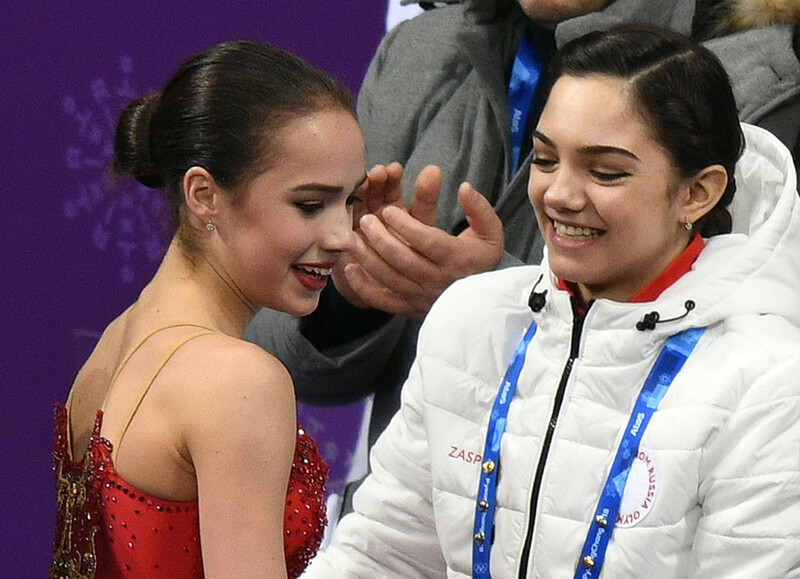 Both Zagitova and Medvedeva are trained by Eteria Tutberidze, who previously coached the 2014 Olympic team event champion Yulia Lipnitskaya. Zagitova had been severely criticized by American figure skating pundits, outraged by the Russian athlete and reigning European champion’s decision to put all of her jumps in the second part of the program. Despite the wave of criticism, Olympic debutante Zagitova continues on her winning path in PyeongChang, seemingly unfazed by the caustic remarks.